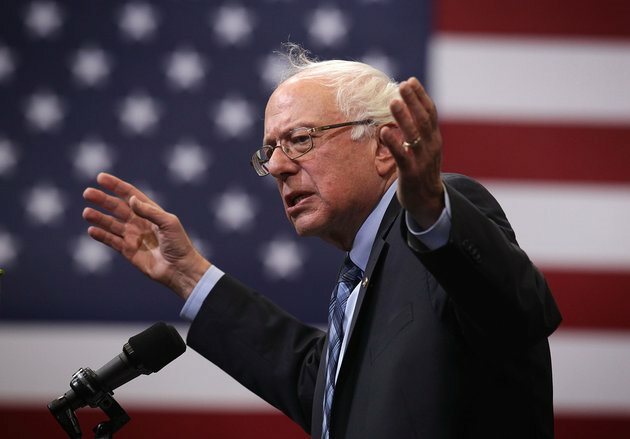 Bernie Sanders wants marijuana to be regulated like alcohol. 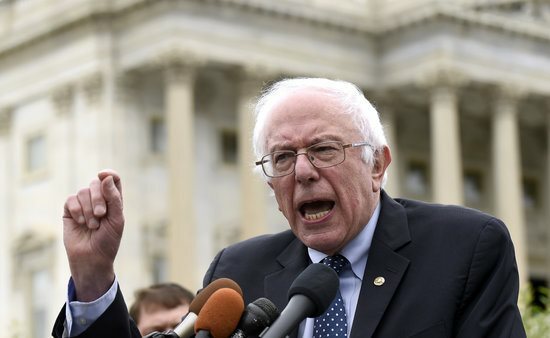 Sen. Bernie Sanders (I-Vt.) has introduced a bill that would end federal prohibition of marijuana, marking the latest move the Democratic presidential candidate has made toward ending the war on drugs. The Ending Federal Marijuana Prohibition Act, introduced Wednesday, is modeled after a bill first proposed by Rep. Jared Polis (D-Colo.) in 2013, which was reintroduced this year as the Regulate Marijuana Like Alcohol Act. The Senate bill would remove marijuana from the Drug Enforcement Administration's list of the "most dangerous" drugs and strike marijuana from the Controlled Substances Act, allowing states to decide whether they want to legalize pot for recreational or medical use without federal intervention. “Just as alcohol prohibition failed in the 1920s, it’s clear marijuana prohibition is failing today,” Polis said in a statement. “For decades, the federal ban on marijuana has wasted tax dollars, impeded our criminal justice system, lined the pockets of drug cartels, and trampled on states’ ability to set their own public health laws. ... Today’s introduction of the Ending Federal Marijuana Prohibition Act in the Senate is a huge step forward in the movement to enact the commonsense drug laws needed to grow our economy and restore fairness to our justice system." The bill comes a week after Sanders first proposed reclassifying marijuana as a less-dangerous substance, arguing that doing so is an essential component of reforming America's criminal justice system. "In the United States we have 2.2 million people in jail today, more than any other country. And we’re spending about $80 billion a year to lock people up. We need major changes in our criminal justice system – including changes in drug laws,” Sanders said at George Mason University on Oct. 28. “Too many Americans have seen their lives destroyed because they have criminal records as a result of marijuana use. That’s wrong. That has got to change." Sanders' bill differs slightly from the House version, which also includes structures for regulating marijuana. Polis' bill would transfer the DEA's authority over marijuana to the Bureau of Alcohol, Tobacco, Firearms and Explosives, and would amend federal alcohol laws to include provisions for importing and shipping marijuana as well as other commerce-related regulations. The Senate version of the bill does not include these provisions. The legislation garnered praise from legalization advocacy groups. "This is the first time a bill to end federal marijuana prohibition has been introduced in the U.S. Senate," said Tom Angell, chairman of Marijuana Majority. "A growing majority of Americans want states to be able to enact their own marijuana laws without harassment from the DEA, and lawmakers should listen. The introduction of this bill proves that the defeat of the Ohio marijuana monopoly measure that wasn’t widely supported in our movement isn’t doing anything to slow down our national momentum." "The science is clear that marijuana is less harmful than alcohol, and that should be reflected in our nation’s marijuana policy," Marijuana Policy Project's Mason Tvert said. "Sen. Sanders is simply proposing that we treat marijuana similarly to how we treat alcohol at the federal level, leaving most of the details to the states. It is a commonsense proposal that is long overdue in the Senate."